These sparkly craft projects are irresistible! 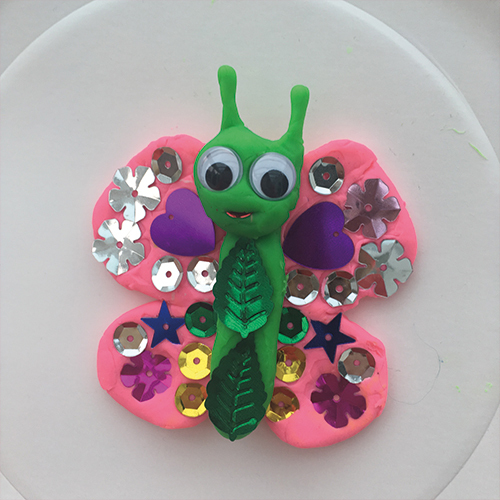 1 Shimmering butterfly: help kids take their dough sculptures to a new level of amazing. Give them sequins to decorate them with. They can add patterns to a butterfly, scales to a fish or spots to a monster! 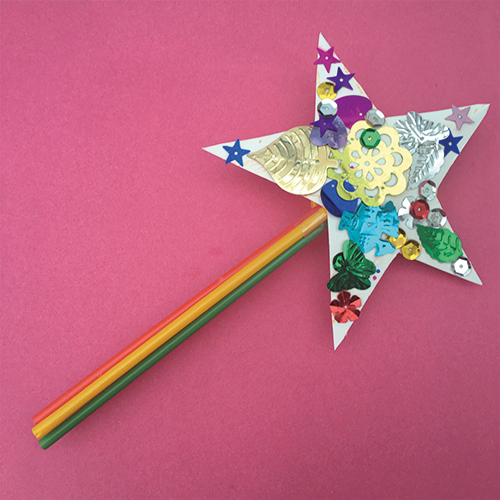 2 Magic sparkle wand: a fairy needs a wand, and everyone knows only sparkly wands are magic. To make one, your children just need to cut a star shape and stick sequins all over it. Then they stick the star to a pencil. Or tape three straws together and tape it to those instead. Now send them off to cast some spells! 3 Dress to impress: put the kid’s fashion designer skills to the test! Draw outlines of clothes for kids to fill with sequins. A dress for a cat, perhaps… so she can dress to im-purr-ess! 4 Bling room sign: a simple way to add some sparkle to your child’s bedroom. Help your child draw their initial – nice and big and chunky. Then they can fill it with sequins and pop it on their bedroom door. 5 Fairy potion: create some magic! Pour children a bottle of water to turn into a fairy potion by adding sequins and petals. They can put on the lid and shake their potion to see the colours move.